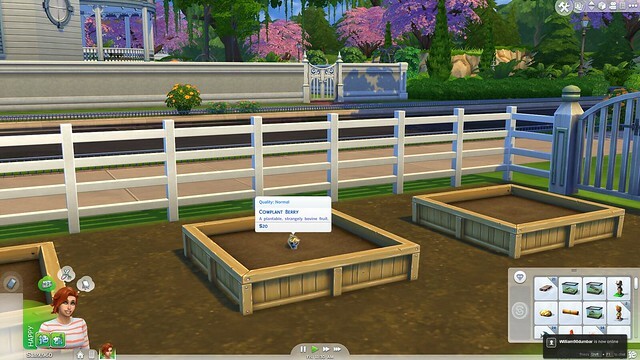 There are four ways to acquire a Cowplant Berry in The Sims 4: Fishing, Digging, Exploring Space, and Grafting. 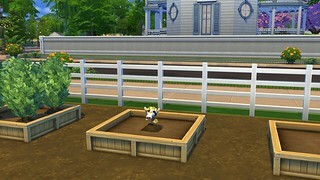 This guide contains all the information you need plant and grow your very own Cowplant. Cowplant Berries can be acquired when fishing in the far back waters of the Oasis Springs Park, when fishing in the waters of the Forgotten Grotto, discovered when exploring space with a rocket, found when digging for treasures, or harvested by grafting specific plant types. The easiest is fishing for it. 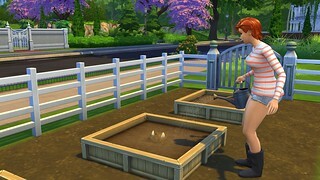 Your Sim can grow this plant at any gardening level, but depending on your which level your Sim is at, you can Weed, Fertilize, Talk to, Water, and tend to the plant. ❗ There is no limit to how many Cowplants you can have on your lot. 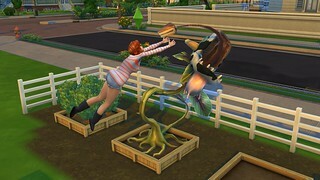 Sims that attempt to grab the piece of cake from the Cowplant’s mouth will be eaten alive by the plant. 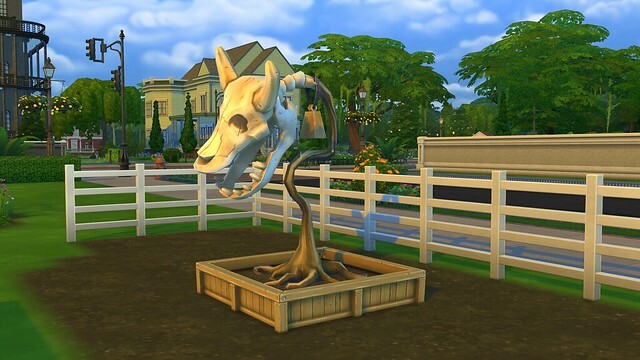 Some Sims will be spit back out to the ground, while other Sims will take their last breath in the Cowplant’s “stem”. 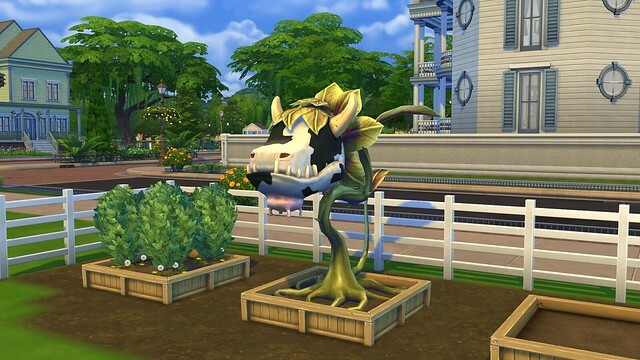 ❗ It is my finding that the Cowplant will “kill” a Sim every other time they “eat cake”. So while you might get lucky the first time, they second is probably going to kill you. 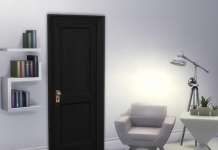 Sims who die will be take away by the Grim Reaper, and a tombstone will be left behind. 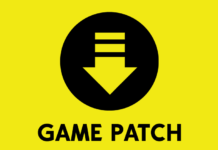 If a Cowplant is left unfed for an additional 12 hours after releasing the cake, the CowPlant will die off and cannot be revived. The only thing that will remain is its skeleton. 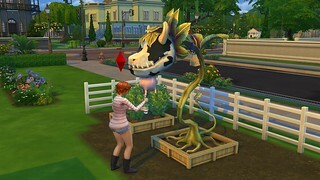 Whether it kills your Sim off or not, anytime the Cowplant “eats” a Sim, they will produce Milk. If the Sim makes it out alive, the Cowplant will produce a milk “drink” based off the emotional state your Sim is in. 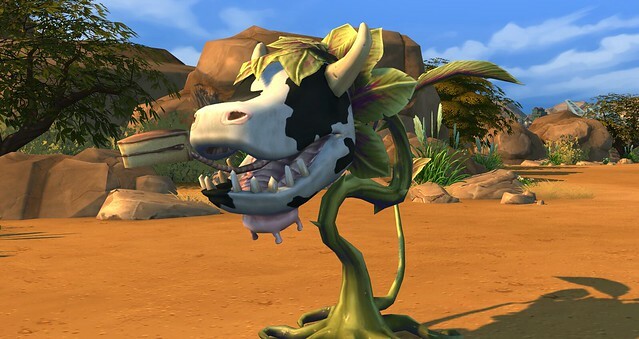 Example: If a Sim is in the “Happy” emotional state when entering the Cowplant, milking it will give you a glass of “Happiness” for future use. Any Sim that drinks that glass will instantly become Happy no matter their emotional state. 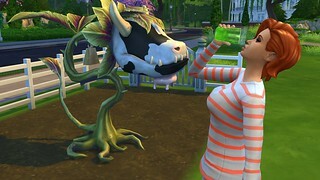 Additionally, Sims who are killed in the Cowplant will produce “The Essence of Life” drink. 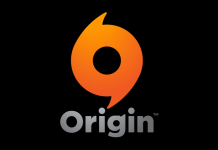 This drink adds extra days to the life of a Sim, and will instantly make them happy. 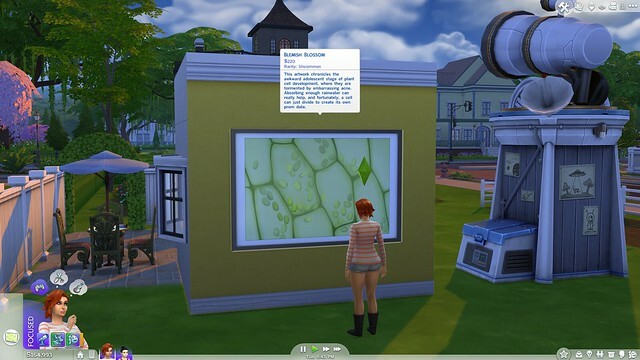 Sims who have a Level 2 Logic Skill or higher can “Collect” a sample from the Cowplant (and any other plants). 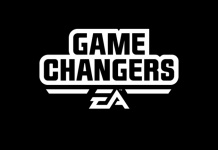 Inspect the sample using the in game microscope, and receive a special “painting” to place on the wall. • Graft one plant with the cutting of another. This produces the Dragonfruit. • Graft one plant with the cutting of another. This produces the Cowplant Berry. 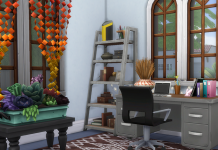 Once you have the Cowplant berry, follow the steps in the first part of this guide to grow your Cowplant.